It was incredibly windy this morning and after a disturbed night it was a right grumpy camper who looked out over the sea of billowing tents and rocking campervans. Only a couple of pitches away a heavy framed gazebo had damaged two vehicles when it blew away during the night, so I was surprised to see a bloke gamely set up his table outside. Seconds later it blew away straight into the side of the vehicle in front of us. Now I accept I am well into grumpy old bloke territory, but I couldn't help ranting at the stupidity of some people. The final straw however, was watching the bloke opposite me allow his dog to wander over and take a piss on my pitch and then observe as it wandered over to the next pitch to pee all over their electric cable. This was at least tempered with the satisfaction of some instant karma when the dog owner's back was turned and the dog pissed up his tent and all over his unlit BBQ. Ranting aside, this wind was way stronger than yesterday and our planned route over Dove Crag to bag High Hartsop Dodd did not really appeal. Perhaps a more sensible choice was to come up with a plan involving lower hills. 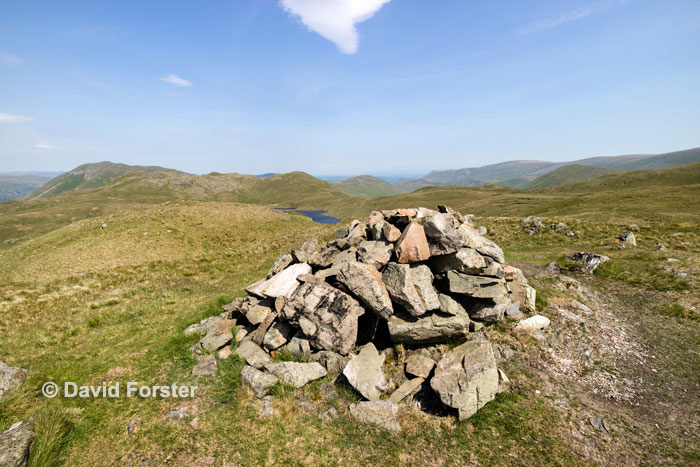 Brock Crags at 561m fitted the bill, so a little later than planned we found ourselves wandering alongside Brothers Water and then up through Hartsop again. 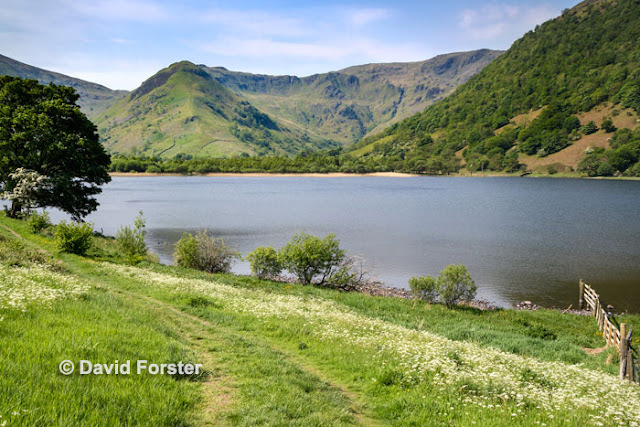 Brothers Water with our plan A route beyond. Just before the parking area we headed leftwards out of the village to pick up a path leading from Calf Close. 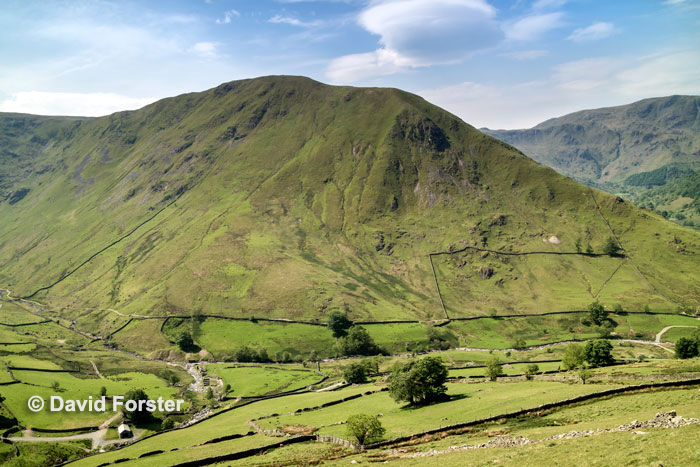 This led along the southern slopes of Brock Crags and gave good views of yesterdays route over Gray Crag and Hartsop Dodd. 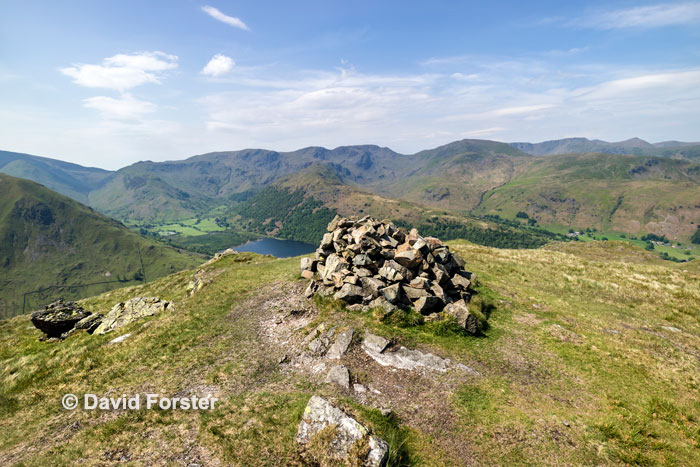 The going was easy and despite some strong gusts we soon bagged the Wainwright top, along with all of the surrounding high points just for the hell of it. Summit and tops achieved we had a gentle wander over to Angle Tarn and then on to Boredale Hause. From here we headed down and back along the valley to the Sykeside. An easy day leaving us 98 Wainwright's to go.